If you can’t beat the competition then do as Hugo Chavez does and just eliminate them or refuse to deal with them until they come join your Leftist socialist groupthink. HotAir and Michelle Malkin, among others, have been reporting on the the intentions of liberals to limit conservative talk on the airwaves. Yesterday, Senator James Inhofe (R-OK) reported that liberals are committed to push their “liberal tripe” on the American public by clamping down on talk radio. Sens. 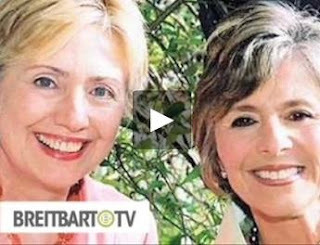 Hillary Clinton and Barbara Boxer have big plans to rein in conservative radio talk shows, according to Sen. James Inhofe, R-Okla. He said Thursday on John Ziegler’s evening radio show on KFI in L.A. that he overheard Clinton, D-N.Y., and Boxer, D-Calif., saying they want legislation to control conservative radio talk shows. The audio link is above. Hugo Chavez would be proud! Related… The real problem: Absolute media arrogance..
and Hillary’s dangerous elitist tendencies.